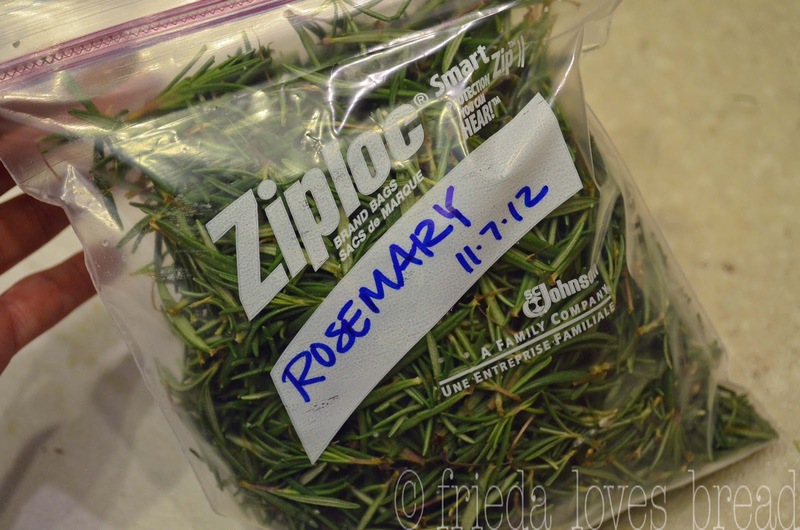 But just in case my rosemary plant dies, I want to have fresh rosemary this winter and throughout next spring. 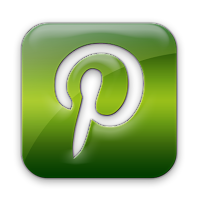 I love using it in my Herbed Turkey Breast and Prime Rib recipes during the winter holidays. 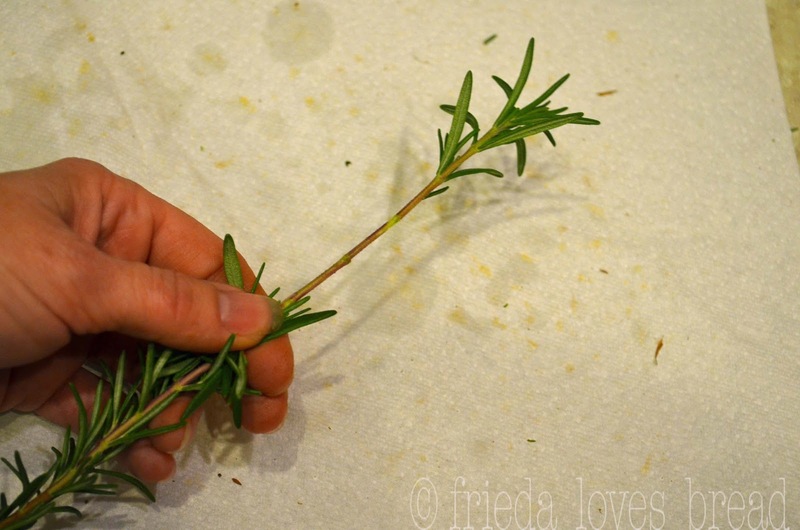 Freezing fresh herbs is very simple. 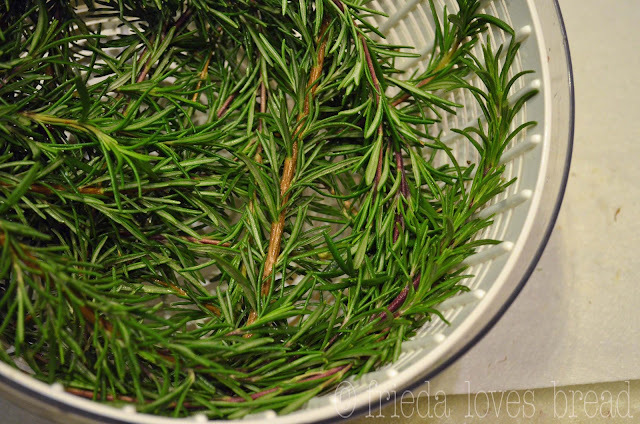 I wash and dry the herbs in my OXO salad spinner. 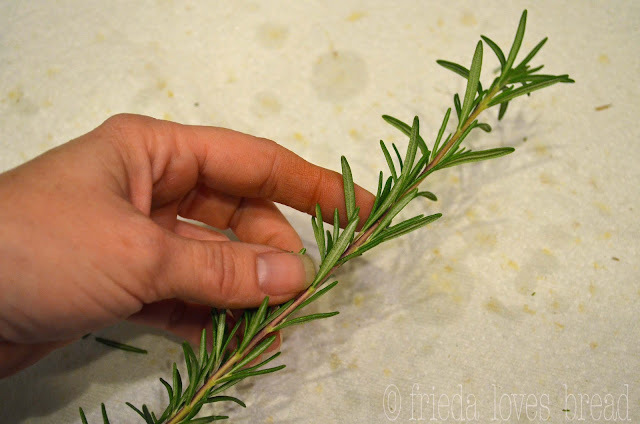 You can also dry your herbs between sheets of paper towels. Pull the leaves in the opposite direction that they are growing in....the leaves come off very quickly and easily. Pinch off the top bunch of leaves and viola ~ you have a pile of fresh, clean herbs! I blotted these herbs with a paper towel and bagged them in a freezer safe bag. These herbs should last me up to a year. 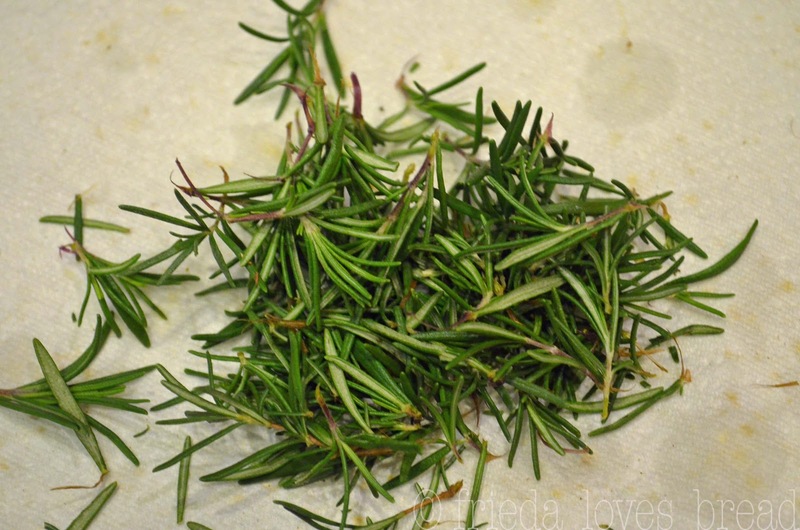 To use these herbs, take out what you need directly from the freezer and chop or use according to your recipe. The temperatures will be dropping to the freezing zone soon .... I better go see what other herbs I can rescue in my garden and freeze for the winter! Beautiful. I have a wonderful potted rosemary plant that I am ready to bring inside for the winter. 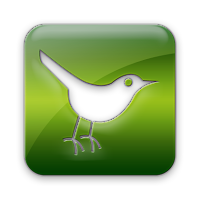 It is loaded. I never knew how to freeze it though. Thanks. Thanks for the info. I'm going out right now and get mine in the freezer!